Upon arrival private transfer to the hotel. Lunch and dinner not included. The whole day is dedicated to discover the heart of the city. The visit starts in Tian’an men Square 天安门广场, The Gate of Heavenly Peace , where there are the Mausoleum of Mao Zedong, the People’s Palace, the National Chinese Museum and the Monument to the People’s Heroes. Then visit the Forbidden City 故宫, the Chinese imperial palace from the Ming Dynasty to the end of the Qing dynasty. Lunch at local Chinese restaurant. In the afternoon visit the Summer Palace 颐和园, dominated by the Longevity Hill and the Kunming Lake. Banquet dinner to taste the traditional Beijing Roasted Duck. After breakfast, visit the Badaling Great Wall 八达岭长城, approximately 50 miles long, this is the most famous section of the Great Wall of China. Lunch at a local Chinese restaurant. In the afternoon visit Ming Tombs 城陵 and the Sacred Road 神路. Dinner not included. After breakfast visit the Temple of Heaven 天坛, considered one of the most remarkable examples of the ancient Chinese architecture. Lunch at a local Chinese restaurant. 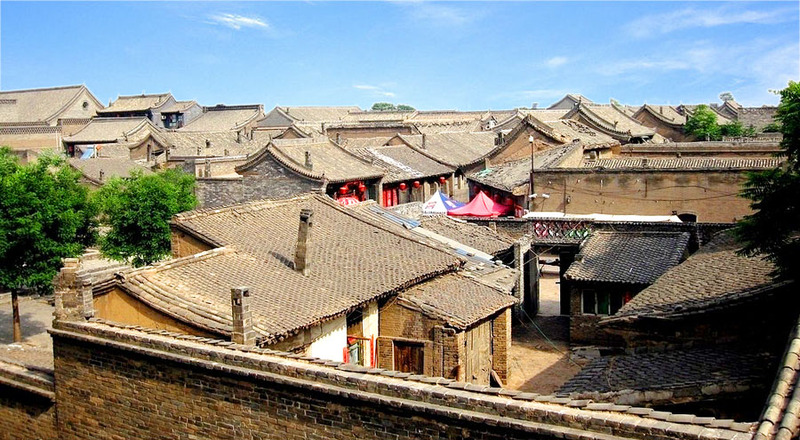 In the afternoon visit the Hutong 胡同 , small alleys formed by lines. The rickshaw tour is optional, not included. Dinner not included. Early in the morning transfer to the airport to catch the flight to Datong. 09:00 - Arrival at the hotel. 09:00-9:30 - Breakfast at the hotel. NOTE: Normally in China the official time for check-in is around 14:00, some hotel can allowed an earlier check-in around 12:00. For this day we planned two important trips and the transfers include many kilometers. For this reason, once we’ll arrive in the hotel we won’t have time for check-in but only for breakfast and a little refreshment. 09:30-10:30am –Transfer to visit the Hanging Temple (75km, about one hour). 10:30-12:00am - Visit the Hanging Temple 悬空寺 , built more than 1,500 years ago, this temple is famous not only because it has been built along wall of the mountain, the but also because it is the only existing temple that combines the three Chinese traditional religions: Buddhism, Taoism, and Confucianism. The best time to visit the Temple is during the morning. 12:00-13:00 - Chinese lunch at a local restaurant. 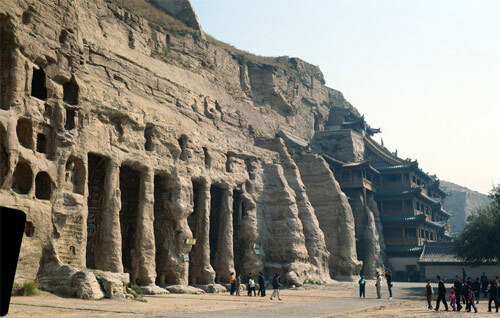 13:00-14:30 - Transfer to Yungang Grottoes (100km, about 1 hour and a half). 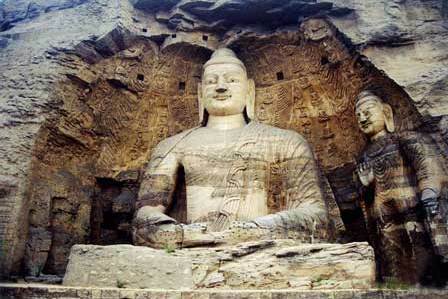 14:30-16:30 - Visit the Yungang Grottoes 云岗石窟, an excellent examples of rock-cut architecture and one of the three most famous complex of Buddhist caves in China. 16:30-17:00 - Transfer to the hotel (20km, about 30 minutes) and check-in. Free time. Chinese dinner at the hotel. After breakfast meet and greet with the local English speaking guide and transfer to Datong train station. Catch the train to Pingyao, hard sleepers (07:39/15:40). Free lunch on board, the guide will help not only those who choose packed lunch but also those who decide to use the train restaurant service. Upon arrival transfer to the parking just outside the city wall to rent the battery car (inside the city wall private vehicles are not allowed). Transfer to the hotel and check-in. 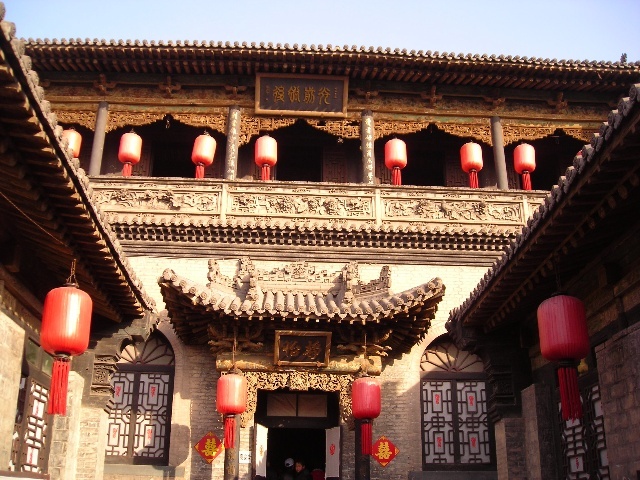 In the afternoon visit the Ancient City 古城 , one of the best preserved ancient cities, during the Qing Dynasty, Pingyao was an important financial centre. Special dinner: Noodle show. 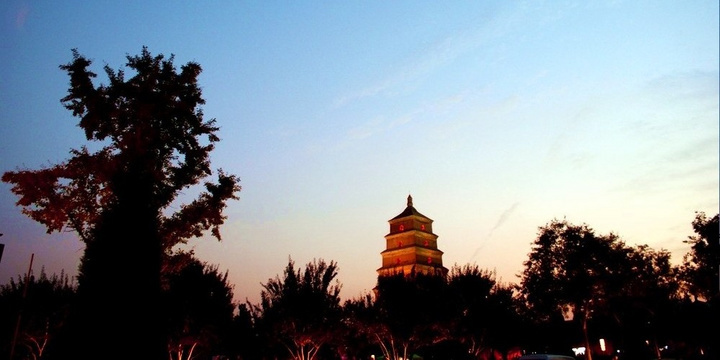 Afeter breakfast, meet the English speaking guide and visit the Giant Wild Goose Pagoda 大雁塔 and the Shaanxi Museum 陕西博物馆. Chinese lunch at a local restaurant. After lunch visit the Old City Walls古城墙. Special dinner: Jiaozi. After dinner transfer to the hotel. 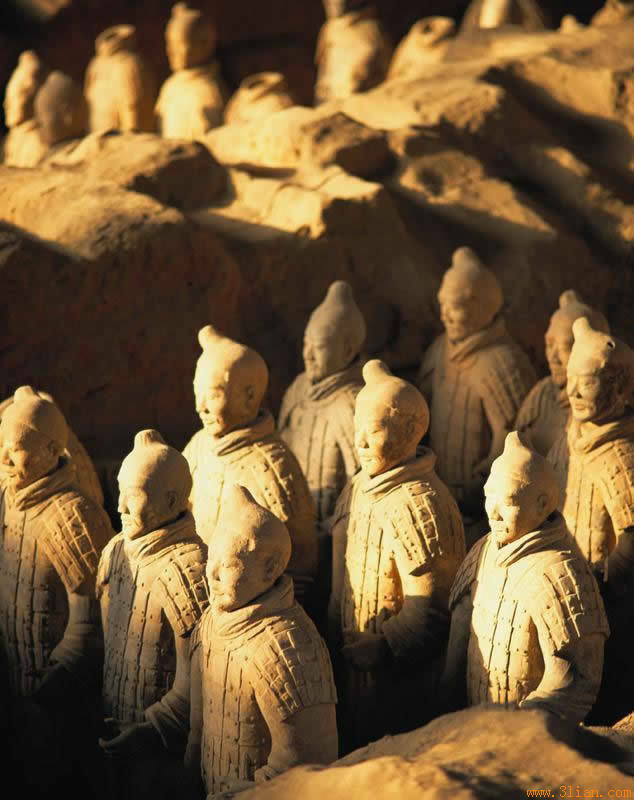 After breakfast, meet the English speaking guide and visit the Terracotta Warriors 兵马俑, made up of more than 8.000 stone warriors statues to guard the tomb of the First Emperor Shi Huang Di. Lunch at a local Chinese restaurant. In the afternoon back to the city, visit the Great Mosque 清真寺 and the Muslim area 穆斯林区 with its colorful outdoor market. Dinner not included. After breakfast transfer to the airport to catch the flight to Shanghai (REF: MU2151 09:00/10:50). Upon arrival meet the English speaking guide and transfer to the hotel for check-in. Lunch at a local Chinese restaurant. In the afternoon visit the Yu Garden 豫园, built in the second half of 1500, destroyed during the Opium Wars, then renovated by the Shanghai government. 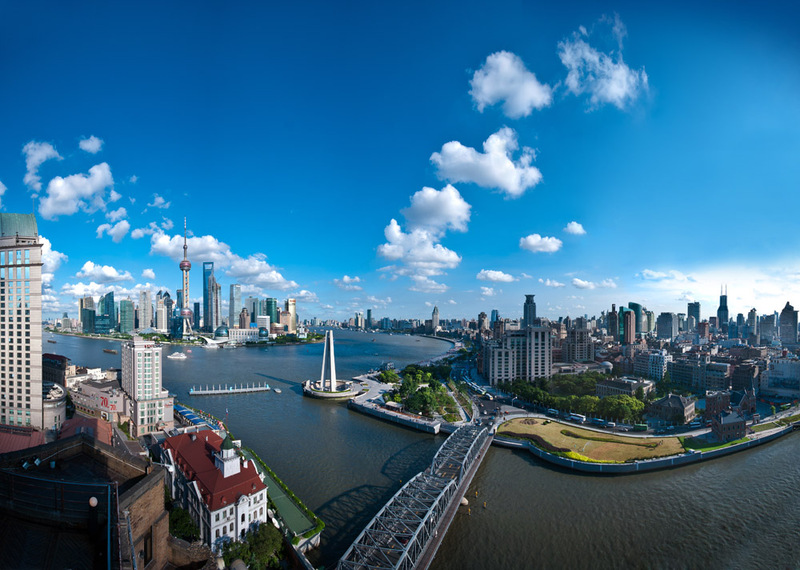 Feel the city lively atmosphere with a walk through the Nanjing Road 南京路, commercial center with lots of shops and shopping malls, next to the Bund 外滩, the famous walk on the Huangpu river bank, where you can admire the amazing Shanghai skyline. After the visit back to the hotel. Dinner not included. After breakfast meet the local English speaking guide and visit the Jade Buddha Temple 玉佛寺, built in 1882 to gather two jade statues brought by Huigen Monk from Burma. After visit the Shanghai Museum 上海博物馆, that contains over 120000 pieces of bronze ware, ceramics, calligraphy, painting, jade, furniture, coins and much more. Lunch at a local Chinese traditional restaurant. Then walk through the colonial quarters. After the visit back to the hotel. Dinner not included. After breakfast meet with the English speaking local guide and transfer to the airport to catch the flight back to your country.